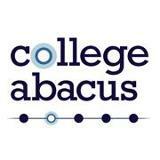 Familiar with College Abacus? You are? We're not surprised. Maybe you read about them on CNN, TechCrunch, or perused Abigail Seldin's thoughts about the college scorecard on Inside Higher Ed. Maybe you've seen a tweet or two discussing college cost transparency and the awesomeness [our words, not theirs] that their tool brings to the higher education space. We're lucky enough to have Abigail Seldin jumping in as our #EMchat guest for the evening. Abigail is the CEO and Co-Founder of College Abacus, a recent winner of the Gates Foundation's College Knowledge Challenge. A Rhodes Scholar, she is an ABD DPhil in social anthropology at the University of Oxford. College cost transparency is perhaps the hottest topic in higher education, specifically enrollment management, right now. With the release of the college scorecard, it's seems to be all that most people are talking about. In fact, if you missed it, we had a great chat on the actual scorecard just a few weeks ago. We'll be talking about College Abacus itself and how it's prepped [our belief!] to transform the world of higher education across the socioeconomic spectrum. Join us this Thursday at 9pm ET to talk with Abigail -- bring your questions, bring your comments, and as always, bring a beer.